Nearly 40 years ago, former President Jimmy Carter signed a federal proclamation declaring the first Sunday after Labor Day as National Grandparents Day. To some, it's just a fun day to honor the people who deliver extra cookies before bedtime, or let them stay up late when they sleep at their homes for a rare parental date night. For others, grandparents are vital to their very well-being. 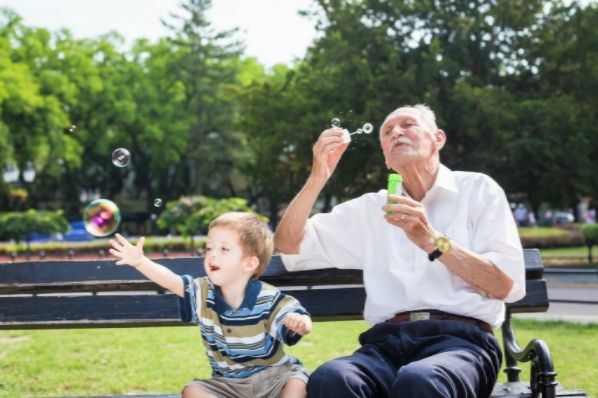 The U.S. Census Bureau recently released new statistics showing that there are 7.3 million grandparents in the United States who provide homes for their grandchildren under the age of 18. Often, grandparents are a last resort before children are put into the foster care system when their own parents cannot provide adequate care for them. This is called "kinship care" and is often a saving grace in the lives of children who would otherwise be thrust into the uncertainty of the system. There are 5.9 million children under 18 living with grandparents in the U.S. -- and nearly half of those are under the age of 6. It's clear that grand parents are essential figures in the lives of millions of children in this country. Even for those with healthy parents and families, the presence of added adult love and care creates more stability and role modeling for children. Strong family structures are key to building up a more character and value-driven society. Today, as we celebrate the many types of grandparents across the United States, let's especially remember those who are stepping in for parents who can't or won't care for their children. Keeping those kids out of the foster care system can make all the difference in the futures they will have.